Ultimately yours like most associations and societies are looking for net-member growth and there is no better way than member retention through relationship bank deposits. Some do a great job keeping members but still lose many to attrition. Some are awesome at recruiting but tend to have a turnstile of members coming and going. Unfortunately, net-growth seems to be illusive to many. To enjoy net-member growth, it’s obvious but frequently forgotten, that an organization has to be excellent at both recruitment and retention–every day. This is a challenge as many find it hard to continually focus on two things (1) how to get them and (2) how to keep them. Member Retention through Relationship Bank Deposits relies on the features of membership you make available to members. This can help with the hard part…communicating how the features make members’ life better. This is the Achilles Heal of most associations and societies—communication. Specifically, communicating value. Too many of the communication directors want to concisely communicate facts to save their readers time. That’s great, but in doing so there is a massive opportunity loss—opportunity to prove value, remind of value, and subliminally lock in the perception of value among the membership. This ability is excellent offense and defense. Early in my career I received a lesson that I have carried for life. Selling consumer goods (sunglasses) to the retail industry (drug stores), I was making my rounds when upon visiting a particular store I found the products of a competitor on my display. Upon asking the owner about his purchase he told me that he was told that the particular style was very trendy. I agreed and told him that that particular style had been on his display (from me) for several months already. He didn’t know because I failed to mention it to him, therefore leaving a competitor to wedge in. If you fail to tell, it didn’t happen and you are leaving an opening for another organization to sell their value. Communicating value to your members is making relationship bank deposits. Two key places to look to determine the quality of your value communication is at (1) your “Member Benefits” page at your website and (2) your electronic communications. Are you “telling” members how your organization makes their life better or simply mentioning features of membership and expecting them to make the translation for themselves? This is crucial for Member Retention through Relationship Bank Deposits. Member Benefits page. First check and see if the text happens demonstrate features or benefits? Features explain what’s built into the product or service and benefits explain how the features make the user’s life better. You’ll most likely have to admit that what you have listed is features rather than benefits. Electronic Communications. Most likely your communication editor is keeping the copy “tight” in hopes that the reader will review the entire piece. Read through what is written and ask yourself this for everything you read, “Who Cares?” and “So what?” If your two questions are answered clearly, you might have benefit copy. Every time, you want to communicate in as many methods as possible, “Because of your membership, this is how we are making your life better.” This kind of communication, continually, is how your organization makes regular relationship bank deposits with its members. 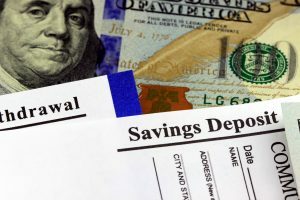 In order for your organization to make sufficient relationship bank deposits for the time of member renewal…when you do attempt to take a withdrawal, this effort must be CONTINUAL. In the cosmic relationship bank, consider that about a dozen deposits are requited for each withdrawal. This would mean that you would have to make about one deposit a month just to get a member to renew. Deposits come in all sorts of forms: awesome meeting, membership pins stating longevity, HQ staff helping with something, etc. The sky is the limit; you just have to remember that value is in the eye of the beholder. This means that just because you think something is valuable (a deposit) if the member does not think the same—it is not a deposit. Bundling is easy, saves time and makes the life of your staff easier. But, doing so diminishes member-perceived value. Everything your organization does for a member should be delivered, regardless of the conduit, separately. Sending a new member package filled with stuff is one relationship bank deposit. However, sending each included item out separately—while it does take more work—is one relationship bank deposit per item. With a little more work, your organization can create vastly more perceived-value. This is Member Retention through Relationship Bank Deposits at its best. As we all know, it is about the member’s perception, not yours. Never offer two or more resources at no charge to members in a single email—break it up. If you extrapolate out this paradigm throughout your organization you will, yearly, deliver enormously more perceived-value to your members and they will reward you when renewal time comes and you request a relationship bank withdrawal.